At Gar Hing Moving Inc, we provide the most advanced and professional service you expect and deserve. 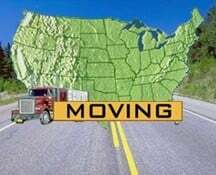 Our experience and commitment to customer satisfaction makes Gar Hing Moving Inc your best choice to relocate from Boston to Washington, D.C. Our movers are trained professionals who take the utmost care when handling your belongings. We just used Gar Hing and are very satisfied.Long story short: Large 1BR = $550 = 2.5 hours = you pack, they just carry boxes and furnitureLong story long: They actually called to see if they could come early and I said yes, anxious to get the move over with! Three men showed up and were very friendly but also got down to business. It felt like I barely turned around and most of my stuff was already in the truck! They were Chinese/Vietnamese but did speak English, in case any of you are afraid of communication problems. One in particular, however, was more fluent than the others so he's probably the point man.I dropped a star because they did seem a little rough with my stuff, even though everything got to my new place in one piece, so maybe I shouldn't complain. Another hiccup was that they got a parking ticket and asked me to pay for it, but the surprised look on my face made them agree to split it 50-50. I wasn't sure what the protocol is in that situation, and after looking it up online, apparently it is standard that the customer pays the ticket, which also surprised me. I was about to give them a huge tip but I was a little soured by that at the time and knocked the tip down. If it is customary though, I do regret not tipping them more because they were really nice and very efficient.Bottom line: They're super nice, super fast, insured and I would recommend them. highly recommended These guys are super fast. they arrive at 9 am and finished loading by 11am. we had more miscellaneous items than boxes and they movers had to use the stairs. the loaded all our boxes and big furniture first. then packed up our random junk into baskets on wheels. it only took them one hour to unload everything to our new apt on the 5th fl. if we move again - we would def. use them again ! 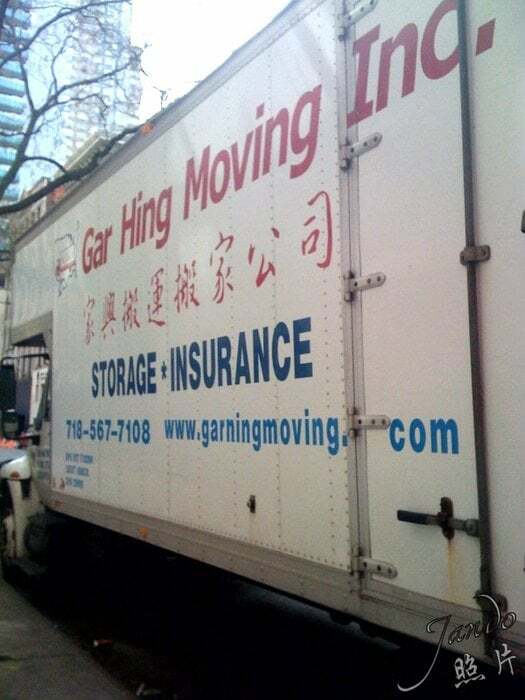 I used Gar Hing Moving for a move from one apartment in Manhattan to another. They were fantastic and so easy to work with. They were on time and very efficient. My sister will be moving in two months and she will definitely be using them as well for her move. Getting the quote was also very easy. I highly recommend them! A friend just sent me a note asking me who we used for a mover in Feb and I found myself actually recommending a mover for the first time ever. The guys from Gar Hing were early, fast, efficient and careful. We actually moved the 2nd to last weekend in Feb, the day after our last big snow storm, and were worried they would not be able to move us, but they were there and did a great job. The only reason I am giving them 4 instead of 5 stars is that communication with them was a little tough a few times, but overall not a problem. We have used them several times and nothing has ever been broken. They are very efficient and cheap. I have definitely referred them to my friends.One issue may be that most of the movers speak Chinese... I'm not sure how well they speak English.